Do you believe me if I tell you I paid just €10 for it? A real bargain. 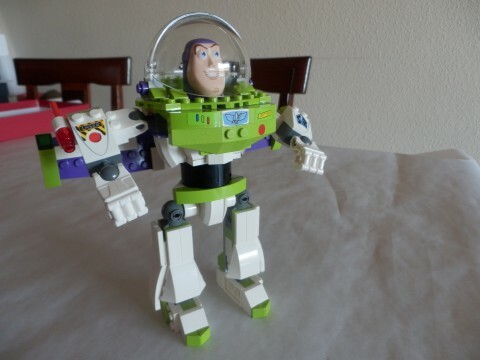 Buzz Lightyear is a character in the Toy Story movies franchise. 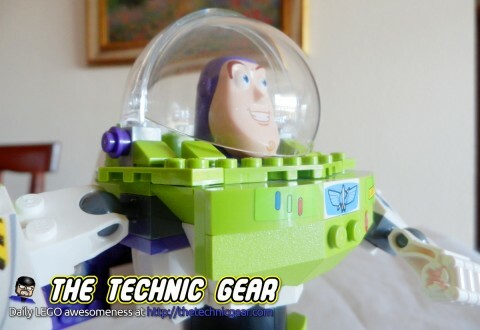 Buzz is a space ranger hero according to the movies and action figure in the Toy Story series. Along with Woody, he is the co-leader of Andy’s Room. 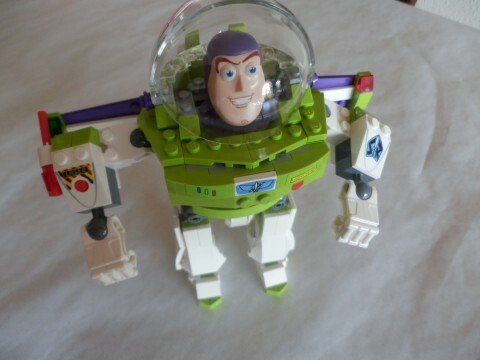 This model features several bricks I haven’t seen before specially the one that does the waist of Buzz Lightyear. Overall the building experience is interesting. It isn’t a complex model and can be built in 30-45 minutes. I have some problems attaching the arms and the legs because the ball joint was quite hard but nothing beyond that. Once built I have to say that it looks really impressive and real. I have been greatly surprised. This set was a real bargain but if you think the original price was almost three time of what I pay for it, I would score it a value for money of three stars.